That was the famous headline in Variety magazine after Black Tuesday in 1929, when the stock market crashed. The term originated in the late 1800s in vaudeville and was extended to non-theatrical failures in the early 1900s. The paper’s arguably most famous headline — “Wall Street Lays an Egg” — was blazoned across the Oct. 30 issue that year. It was succinctly irreverent and colorful, a tone the 25-year-old paper was just beginning to practice. The piece is a detailed cross-section of New Yorkers’ reactions to the unfolding fiscal fiasco the Federal Reserve created. 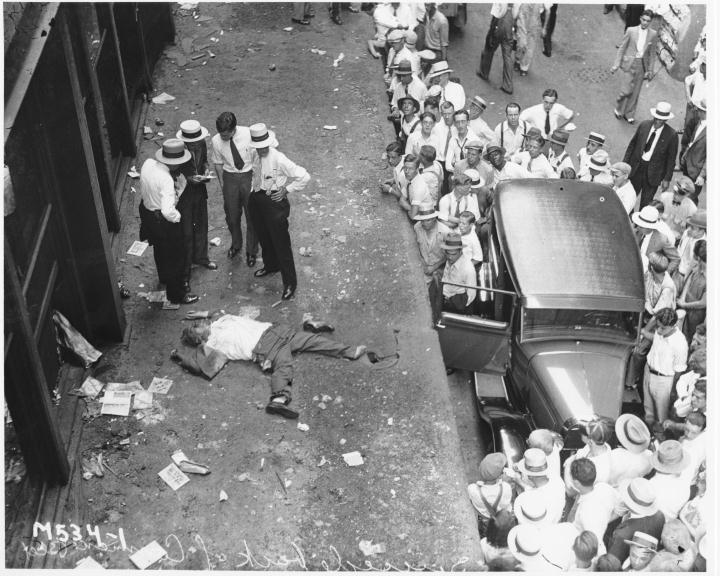 Below is a 1929 Wall Street Crash Suicide which many publications don’t show. Looking for the source of this 1929 suicide photo, any more info available? Great post man , I’m so glad that you’ve shared .